If a new rumor is true, the remains of Infinity Ward are still working on Modern Warfare, but not Modern Warfare 3. An unnamed, unofficial, anonymous, unconfirmed (get the point?) source that has allegedly been reliable in the past is back with new information about the future of Modern Warfare. ThisIsXbox is reporting that the source, which has previously been correct about information regarding Call of Duty: Black Ops, Kinect, and Gears of War 3, has unveiled the next Modern Warfare project in development by Infinity Ward. The source claims that a Modern Warfare prequel is in the works, but it won't be released with the title Modern Warfare 3. Infinity Ward is reportedly developing the prequel using the Modern Warfare 2 engine and doesn't plan to release it in 2011. The rumored prequel will focus on Simon "Ghost" Riley, a lieutenant and second-in-command of Modern Warfare 2's Task Force 141. Just in case you don't pay attention to names, he's the character with the skull balaclava and the sunglasses. Yeah, that guy. 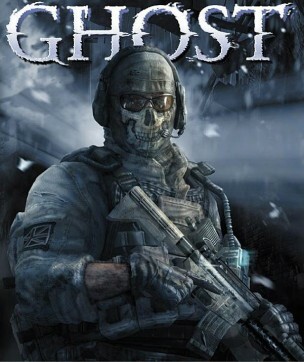 The game is said to focus on the events that lead-in to Call of Duty 4: Modern Warfare, and expand on Riley's history and beginnings in Task Force 141. If the source is correct, the Modern Warfare prequel will likely follow the events from the six-issue Modern Warfare 2: Ghost comic book series written by David Lapham. The source adds that the game will take players to familiar Modern Warfare locations, but give a different viewpoint. As usual, a rumor is a rumor and should be treated as such. A Modern Warfare prequel being delayed past 2011 makes sense with the recent shakeups at Infinity Ward, but that appears to leave Activision without a Call of Duty project for 2011 unless Treyarch has another up its sleeve. Only time will reveal the truth.